I never was a fan of tomatoes growing up. I remember having friends who could eat cherry tomatoes just like they were grapes. Me? No. You’d never catch me eating vegetables, let alone by themselves. For some reason, my taste buds changed when I went to college. I think it’s because I finally realized that if I ate fried chicken and pizza the rest of my life, I would get fat. Time to bring on the vegetables!! And that I did. I started actually liking corn on the cob, I discovered my love for mushrooms, bell peppers, broccoli and more. I actually heard that tomatoes are a fruit, but whether its a fruit or vegetable, who cares. I love tomatoes now!! 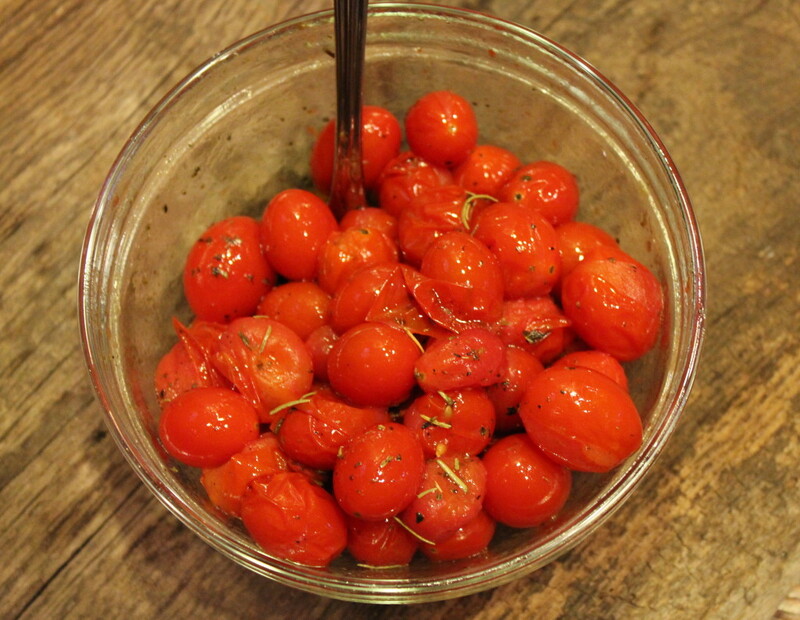 The great thing about these pan-roasted tomatoes is that they have an Italian twist to them. 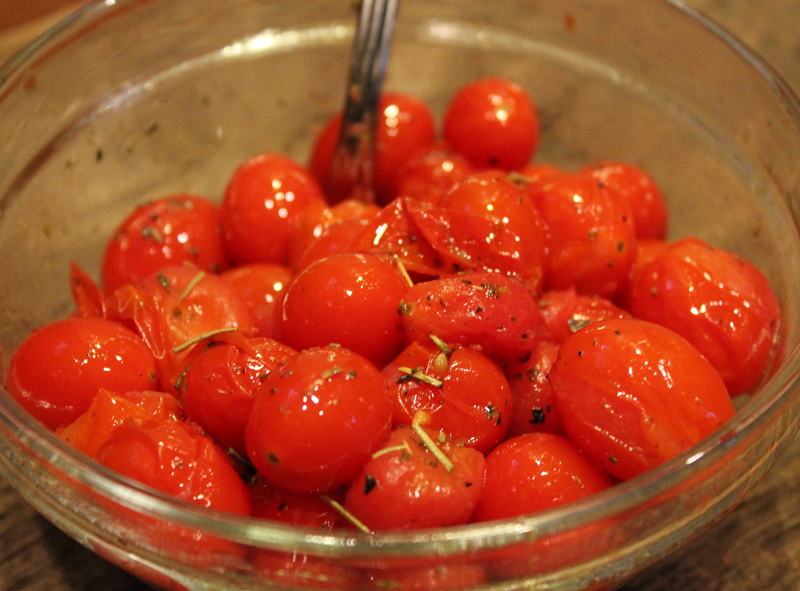 The flavors of the olive oil combined with rosemary, oregano, salt and pepper mixed in with the cherry tomatoes remind me of the wonderful olive oil dipping sauce at Macaroni Grill. Yum! Plus, this is probably these easiest side dish you’ll ever make. 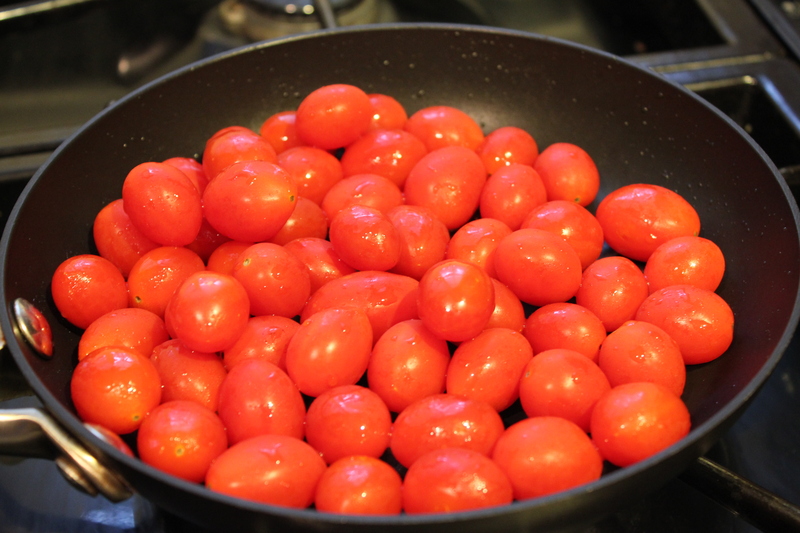 Simply throw an entire pint of cherry tomatoes in a skillet with 1 teaspoon of olive oil and cook until they start to blister, 3-4 minutes. Then toss in the remaining olive oil and Italian seasonings and you’re done. Simple!!! Serve with grilled chicken and a side salad and you’ve got a well-rounded meal. Enjoy! Heat 1 teaspoon olive oil in a skillet and add a pint of cherry tomatoes. Cook for 3-4 minutes or until tomatoes start to blister. Add remaining teaspoon of olive oil, salt, pepper, rosemary and oregano. Heat 1 teaspoon oil in a medium nonstick skillet over medium-high heat. 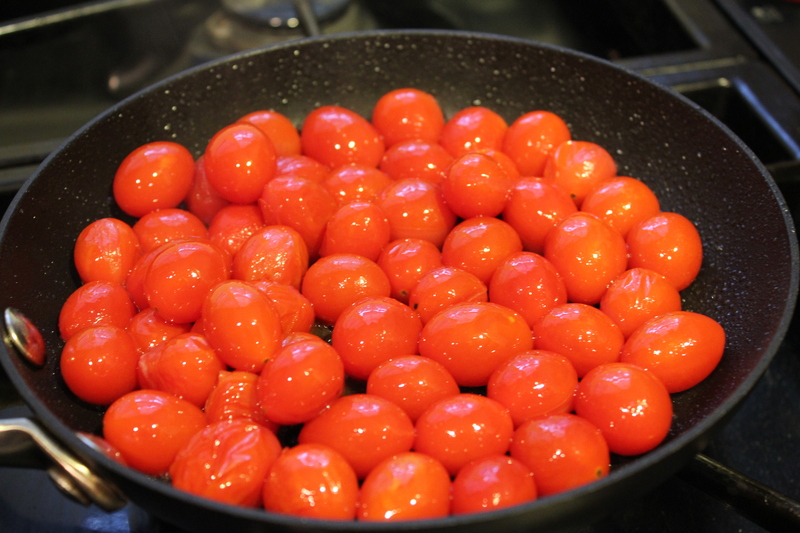 Add tomatoes; cook 3-4 minutes or until tomatoes begin to blister. Remove from heat; stir in 1 teaspoon oil and remaining ingredients, tossing gently to combine. Let stand 5 minutes.